For decades John Berger has been an inspiration across artistic genres and through his deeply humanist political interventions. Poet, artist, novelist, essayist, philosopher, astute observer of the quotidian – he has been a lodestar to many. To celebrate his 90th birthday, Yasmin Gunaratnam, Tessa McWatt and Tom Overton discuss the meaning, significance and implications of Berger’s work for art, politics and living in this world. Yasmin Gunaratnam is a reader in sociology at Goldsmiths, University of London and co-edited A Jar of Wild Flowers: Essays in Celebration of John Berger (November 2016) for Zed Books. She has written widely on areas ranging from culture, gender, and race to migrant experiences and debates around representation. Tessa McWatt is a novelist and Reader in Creative Writing at the University of East London, and contributed to A Jar of Wild Flowers: Essays in Celebration of John Berger (November 2016). 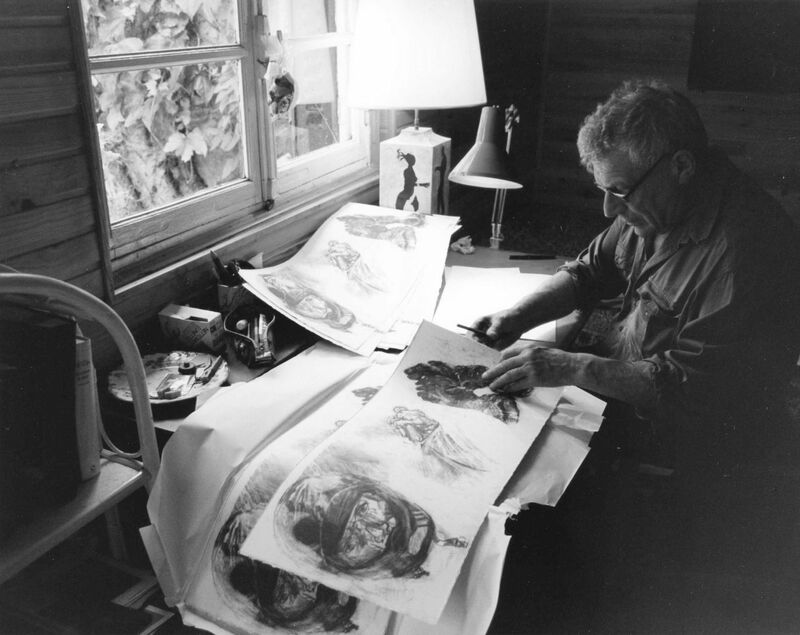 Tom Overton catalogued John Berger's archive at the British Library, and edited Portraits: John Berger on Artists and Landscapes: John Berger on Art for Verso. He's curated exhibitions at the Whitechapel Gallery and Somerset House, and is writing two books for Allen Lane: on archives and migration, and Berger's biography.